Manchester United are reportedly keen on signing either Kalidou Koulibaly or Milan Skriniar to revamp the central defence during the winter transfer window. The Red Devils have recently gone through a five-match winning run across all competitions under interim boss Ole Gunnar Solksjaer but there still remains the effort to strengthen the backline which has already leaked more goals than the entirety of their previous league campaign. 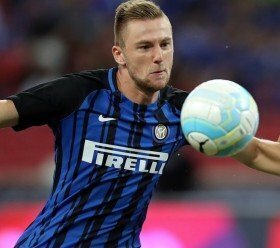 According to The Independent, United have earmarked Napoli's Koulibaly and Inter's Skriniar as probable targets to reinforce the heart of the backline and they are optimistic of landing one of the duo before the end of the month. Still, neither is expected to come on the cheap for the Red Devils and Napoli are said to have already rebuffed a club-record bid from United to sign Koulibaly earlier last month. United are scheduled to face Tottenham Hotspur on the road in their next league game and anything less than a victory could further extend the six-point gap to the top four positions.